As most of you know, I’ve been trying to take control of my health and eat better. Which I’ll admit, hasn’t been easy. 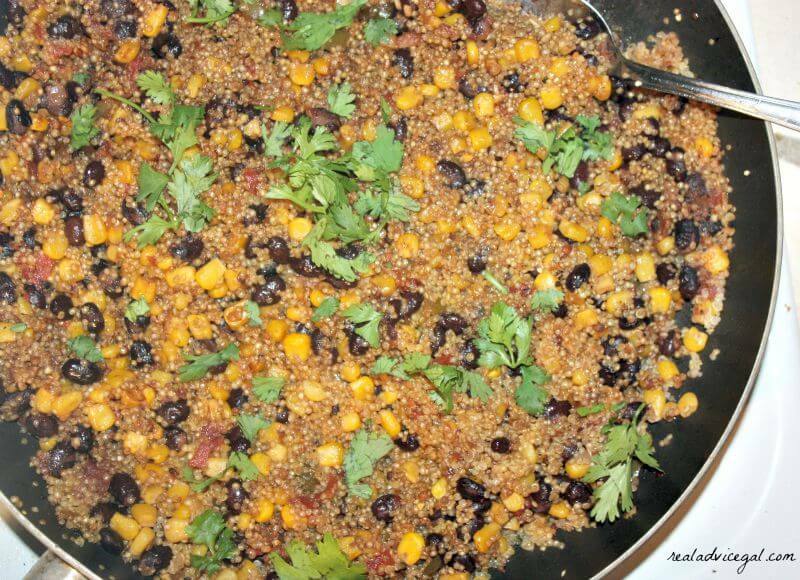 But I’m learning as I go and this week I learned that I really LOVE quinoa! It’s got a great texture and can be flavored in so many different ways. 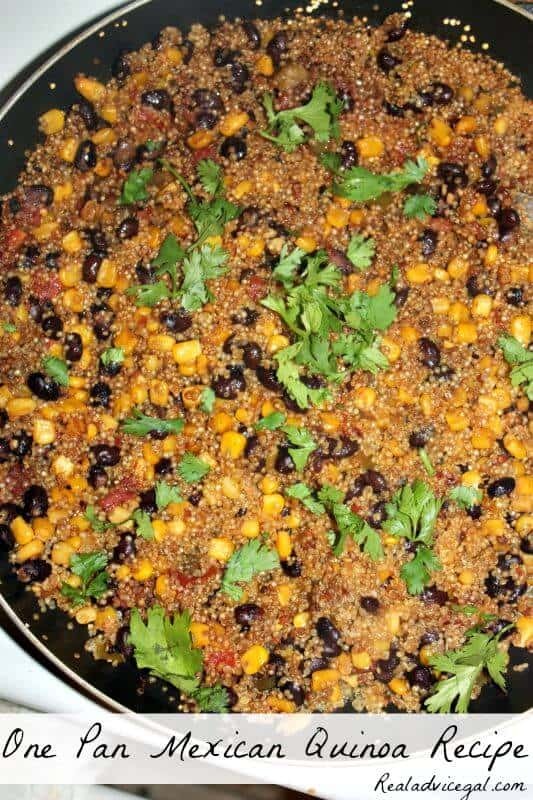 Today I wanted to share with you my first recipe I have made with quinoa, which resulted in this amazingly easy One Pan Mexican Quinoa Recipe! 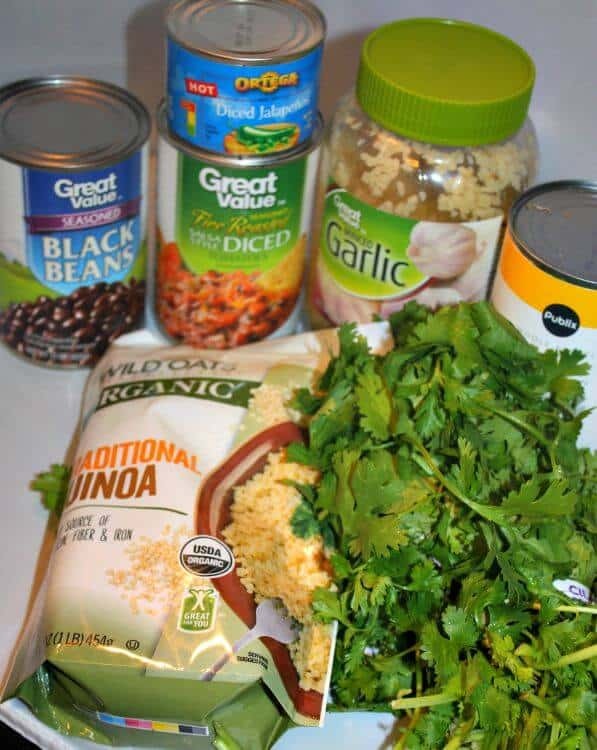 This recipe has a great flavor, a spicy kick, and the best part is that it’s pretty good for you! Let’s check out how to make it shall we? Step 1: In a large saucepan heat your olive oil, garlic, and jalapenos until fragrant (about 1 minute). Step 2: Add in your vegetable broth and quinoa and stir. 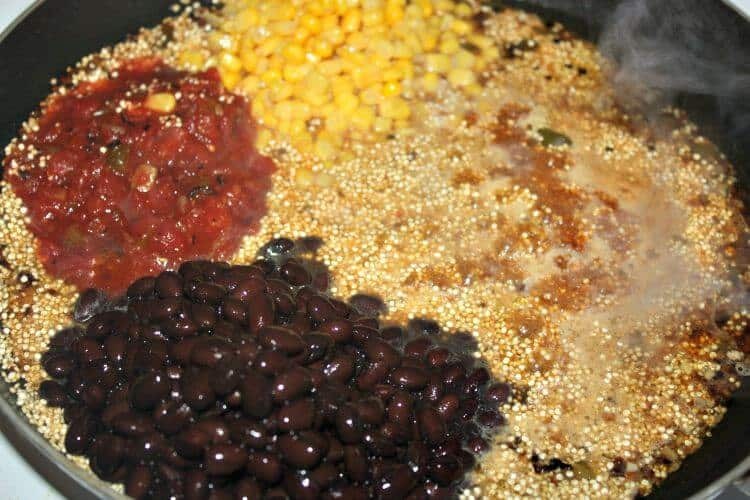 Step 3: add your beans, tomatoes, corn, and spices in and mix to combine. Bring to a boil. Step 4: once your mixture is boiling, cover and reduce heat. Cook for 20 minutes or until the liquid has been absorbed. Step 5: Add your fresh cilantro and serve hot! How easy was that right!? This is an awesome meal by itself, but you could also add some chicken breast to it as well. 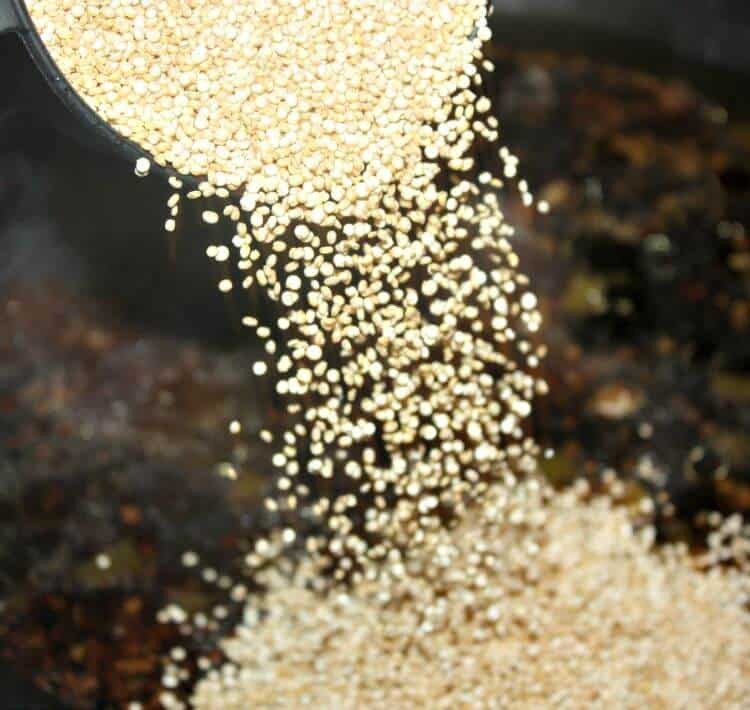 One thing I love about quinoa is that is reheats really well. So I made about 8 servings of it, and then I separated it into different containers for my lunches throughout the week! So how is that for meal planning!? Ha!